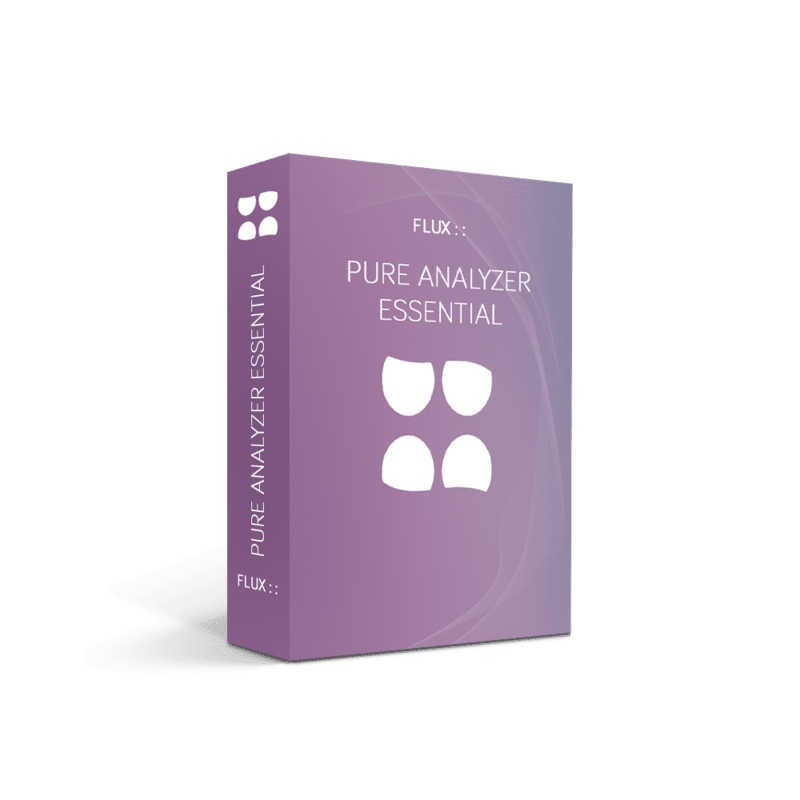 The Pure Analyzer Essential is the core of the Pure Analyzer System, and is required in order to run any of the add-on modules; Live, Metering/Loudness, Multichannel/Surround. 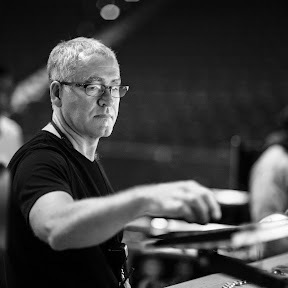 The Live add-on module provides the elements needed to assist the live sound engineer in speaker array calibration tasks with; delay finder, level, meter, transfer function magnitude, phase and coherence spectra, impulse response, as well as snapshot facilities. The Metering and Loudness add-on module provides an extensive set of measurement tools well adapted for Broadcast and Post Production facilities, presenting the metering tools for a vast range of standards such as True Peak, RMS, ITU-1770, EBU-R128 (PLOUD), history and more. 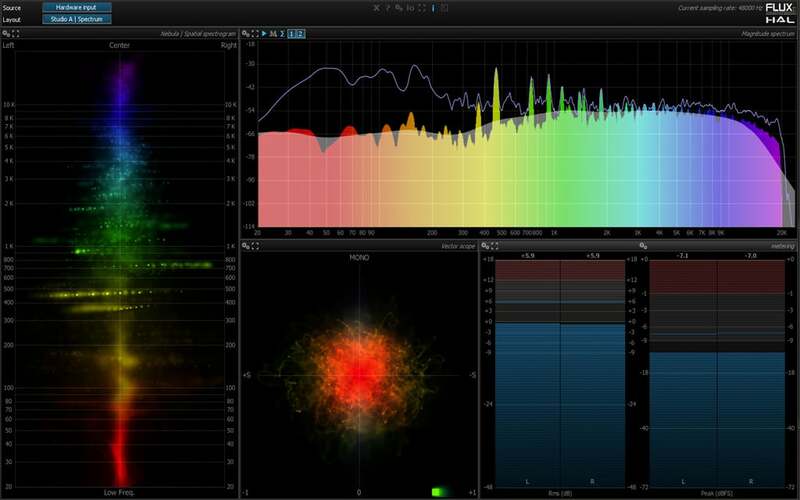 The Multichannel and Surround add-on module provides a vast range of measurement tools for comprehensive analysis of multichannel audio environments. 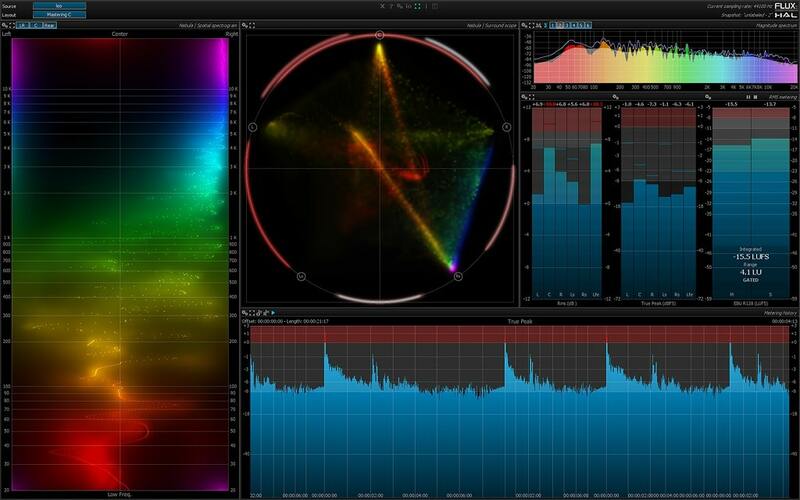 In addition to standard spectrum analyzer and metering tools, an innovative set of spectrum tools, Flux:: Nebula, presenting frequency and scope over space in a fashion never seen before. Flux:: Nebula Surround, providing real-time visualization of the the audio content in the surround space-frequency domain. The Pure Analyzer System has full support for standard hardware I/O with ASIO and Core Audio. In addition to this, a plug-in called SampleGrabber, available in all standard plug-in formats, is provided. The SampleGrabber plug-in can be inserted into the insert chain on any DAW or Digital Mixing Console supporting standard plug-ins, where it grabs the source/response audio signal and send it through the network using the ZeroConf/Apple Bonjour protocol to the Pure Analyzer stand-alone app that analyzes the audio in real time. *The EDU discount is always based on the product’s standard MSRP, any other discounts or promotions will not be taken into account. We offer a 50% academic discount, based on the full MSRP, for students, teachers and schools on all our products. Click here to apply. 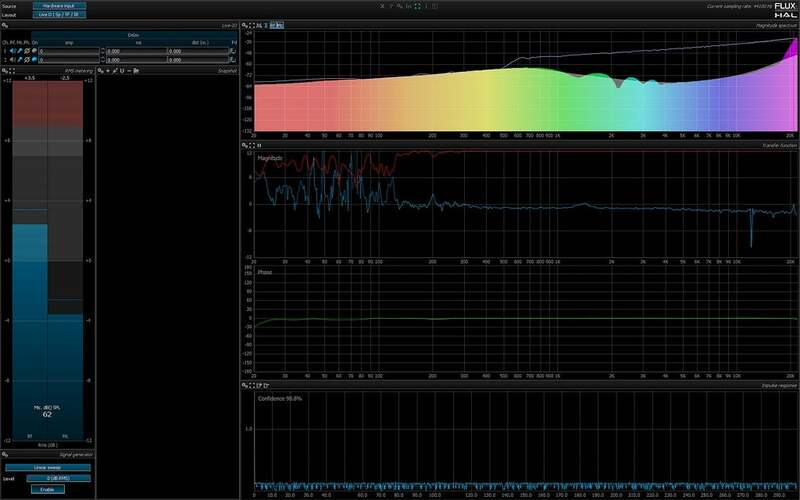 Unique spectrum over space scope, providing real-time visualization of the the audio content in the stereo space-frequency domain. With the Dialogue Intelligence enabled the display of other Loudness values is compensated to make sure meter readings are consistent. The add-on options are not compatible with the Studio Session Analyzer (included in the Studio Session Pack bundle). 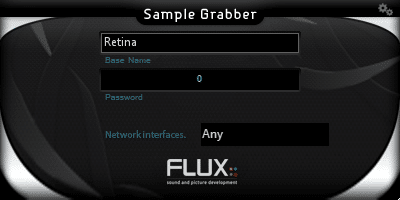 Pure Analyzer is built around Flux::'s new 2D/3D efficient graphic engine, which employs full GPU-acceleration utilizing an OpenGL 2.0 compliant graphics card. In order to experience the outstanding graphical response in Pure Analyzer and to fully take advantage of the software's analysis capabilities, using a modern nVidia or ATI Radeon graphics card is recommended. Older, and other less efficient graphics cards do not have the required performance and specifications, and will offload too much work to the CPU. The processor is an important factor as well, and we recommend using at least and Intel Core 2 Duo, Core i5 or newer architecture processor. AMD processors are also supported, but might exhibit lower performance, as they do not offer the same capabilities and optimizations as Intel CPUs. An iLok account (no iLok USB key required). Please make sure that the latest version of vendor-provided optimized drivers are installed for your graphics card. Generic drivers may contain bugs and are in general less up-to-date with optimizations presented in drivers specific to your particular graphics card model. Windows - 7 SP1, 8, 8,1 and 10 in 64 bits only. Mac OS X (Intel) - All versions from the 10.7.5 in 64 bits only. 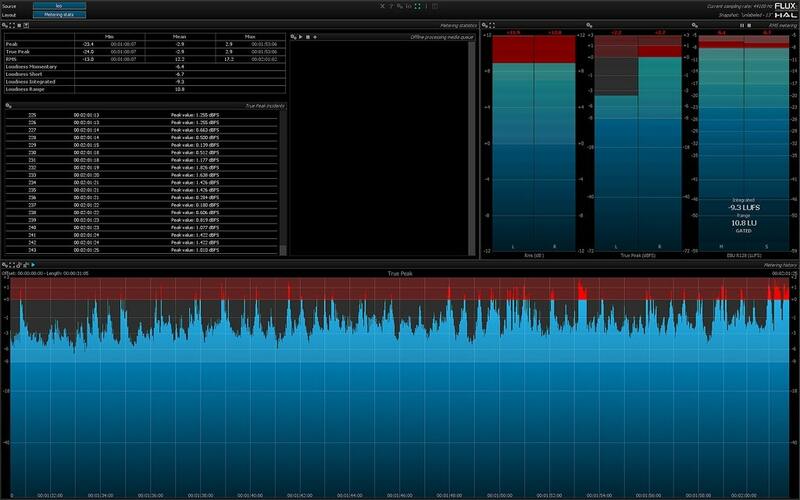 The f64 Pure Analyzer application works internally in 64bit float, while the non f64 version works internally in 32bit float, it’s a minor difference in precision, with the 64bit version consuming more processing resources. The 32bit version is already very precise, and more than enough for all common everyday applications. The 64bit version is provided for very specific applications; that sometimes may require extreme detail in the analysis. An iLok account (no iLok USB key required), or a Flux:: dongle and a free USB port to connect the dongle.